When growing up I was expressly forbidden to enter places where an ID card was required. My first ID card was, as most are, my driver’s license. However, I did not use it much as a kid, even when going to the grocery store for my mother. In fact, my mother would often sign a check, hand it to me with the grocery list, and expect me to return with our groceries. At the store, I would fill out the name of the store, the amount, and hand it over. It was always accepted. Without an ID. After we left our parents homes and established our own place we often bought groceries, gas, and other things with a written check. 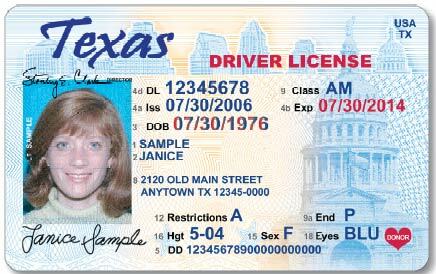 No one checked ID’s much unless you were traveling out of town or were visiting a place where an ID card was required, like a club. Way back when, we lived in a small farm community about forty miles from the big city and decided to ride along with some friends to a club. The music was loud when we got there and everyone was funneled into a single line out in the parking lot. We laughed and visited as we waited. Approaching the door our friends began to pull out their wallets. My husband pulled out his ID and entered. He turned to me and all I could do was stare at him. I did not have my ID with me! We rode with others so I did not bring my purse – hence no ID. I told the large, bald man that I was twenty-three years old, had a full-time teaching job, and was married. He stared. My young hubby, who was also twenty-three, talked to him as well. Nothing. Nada. Zip. I wasn’t getting in without an ID. I don’t remember much else about that night except I was embarrassed and furious at the same time. I was an adult! I had an ID! Needless to say, the showing of ID’s increased over time and I didn’t forget mine again. BEFORE debit cards and online banking and AFTER the time period a parent could send a kid to the store with a blank check, ID’s were used for verifying information about a check. At times it seemed that the back of a check contained as much information as a government loan document for a mortgage. As credit card usage soared and real money turned into electronic money, our ID’s became even more important. They verified our identity. Now, we have to show our ID’s to be able to walk in the door of our schools. We get carded if we make a purchase with a credit card. ID’s are certainly required to travel and they are a must for any kind of medical emergency, banking, or insurance adjustment. I learned my lesson early and have my ID with me at all times. One night at the movies, the young miss asked me if I was a Sr. Citizen. I said, “Define Sr. Citizen.” She stared at me and replied, “Sixty or over.” I smiled a flirty kind of smile and stated, “Not yet.” She clacked on the keys and ripped my debit card through the slot. She slit her eyes at me and said, “I gave it to ya anyways.” I thanked her and enjoyed my movie. The movie was good and the very next week I was in the self-checkout line at the grocery store when the screen popped up the Sr. Citizen question. 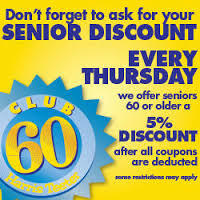 Apparently the grocery has some kind of “Sixty Plus Club” where select shoppers receive a small incentive. Remembering my boon at the movies, I did not hesitate and tapped on the large, red “YES” button. I was patting myself on the back when the screen flashed this message: Show ID to the clerk. Frickin-frack! Unbelievable! They were going to card me to see if I was sixty years old or not. I did not know what to do as I had already hit the button. I mean, I knew my age so why say I was sixty if I wasn’t trying to cheat the system? Quickly, I slid my ID from my purse and caught the eye of the young cashier overseeing all of the self-checkout booths. I waved it quickly back and forth in a blur. She nodded and I pushed it back into my wallet. I yanked the receipt out of the machine and sailed out of the grocery store. Who knew? Carding in the grocery store, really? What is this world coming to? This entry was posted in Posts, Stories / Articles and tagged Discounts, ID, Senior Citizens, Sr. Discounts. Bookmark the permalink. Sixty plus club? I can join that club but I need it to pay me.